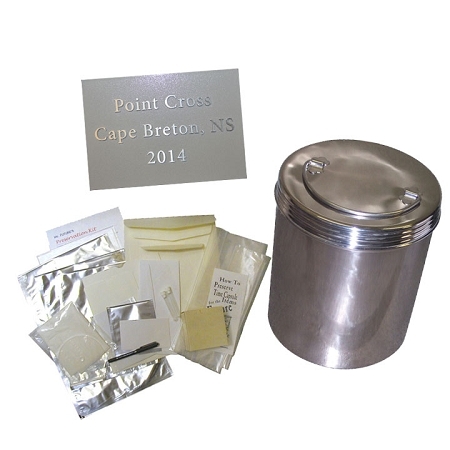 Availability: Time Capsule Container with Kit and 8x10 Outdoor Plaque. Allow 3 days processing for time capsule and 3 weeks for plaque. Comes with all you need for a perfect small time capsule project. Small space? No problem! 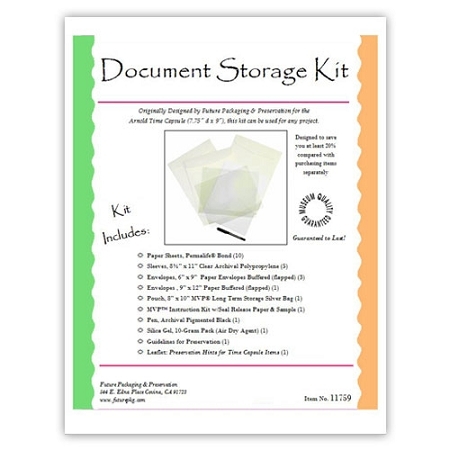 And, you get a plaque and preservation kit, too! Check out the GALLERY to see more plaque examples - ALUMINUM or BRONZE. 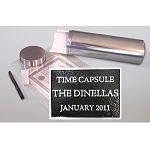 7601 - Label Silver Poly 2.5x3.5 "Time Capsule"
Please note: for packages, we ship the time capsule and kit first, in about 3 days, and you get a proof for the plaque. After approving the proof, the foundry makes the plaque with delivery in about 3 weeks. Should you wish the items to ship together, place this information in your order notes. With a package, you must finalize the plaque within 30 days or we will need to remove the plaque from your order and you will lose your discount. Please contact our office for assistance! International Customers: Sorry, we cannot ship easy packages outside of the USA. We got the time capsule right away, and now the beautifully done plaque this morning before the 10:30 am deadline. It looks great and our event turned out fantastic. Almost 100 folks and the rain held out until we had broken down most tables, etc. It was a pleasure working with you and your team, staying with us every step of the way. Great customer service! A: We still have a few of these in stock, but the supply is dwindling! Please allow 3 days for processing the time capsule. Each of our capsules must go through a rigorous 12 point inspection first. Thank you for your question! 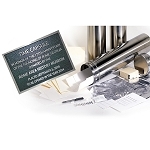 6x24 Time Capsule with Kit and Plaque - Perfect package for small groups - can be buried & includes outdoor plaque! The capsule & kit ship promptly.